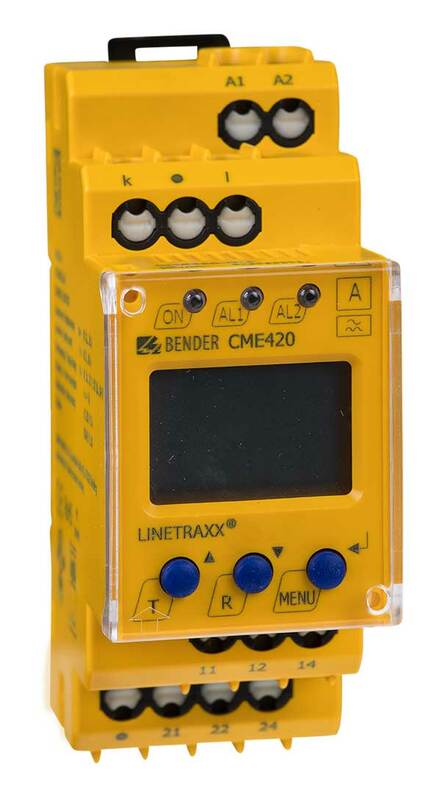 The CME420 series current relays monitor undercurrent and overcurrent in AC systems as well as the current between two threshold values (window discriminator function). The currents are measured as r.m.s. values (AC). The currently measured value is continuously shown on the LC display. The measured value required to trigger the alarm relay is stored. Due to adjustable delay times, installation-specific characteristics, such as device-specific making currents, short-time current changes etc. can be considered. Current measurement is possible either directly or indirectly via standard current transformers (x/5 A). External supply voltage is required.